Our honorable Prime Minister Narendra Modi is popular for his hard work and speeches. 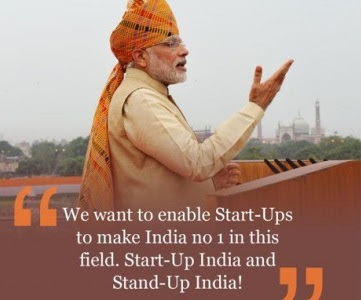 He has done another great work for India and it is “Startup India Standup India”. Do you know what it stands for? Why it is launched? What are the goals for this campaign? Well, we have included all the answers in this article below. The campaign “Startup India Standup India” is basically announced for the entrepreneurship and job establishment, proclaiming incentives for companies that develop employment besides launching this campaign to endorse bank financing for startups by the poor. Our PM called 125 crore Indians as “Team India” and to root out the corruption and make India a developed country by the year 2022 on 75th anniversary of our independence day! The finance minister Arun Jaitley launched two funds by the SIDBI bank (Small Industries Development Bank of India), a fund of funds with sum of Rs 12,000 Crore. Moreover, the funds are Rs 2000 Crore India Aspiration Fund (IAF) and SMILE (SIDBI Make in India Loan for Enterprises) scheme with a venture of Rs 10,000 crore. In addition, the India Aspiration Fund (IAF) is proposed to play an imperative role in the financial ecosystem of Startup India Standup India. Arun Jaitley also stated that the fund is going to catalyze tens of thousands of crore of equity investment in MSMEs and Indian Startups, generating employment for lakhs of people, generally educated youth, over the 4 to 5 upcoming years. In addition, the LIC (Life Insurance Corporation) of India has also approved to be a partner and co-investor in the fund. Moreover, SMILE (SIDBI Make in India Loan for Enterprise) is the second fund and is initiated to provide soft loans in the nature of quasi-equity and term loans on comparatively soft terms of MSMEs. Besides, the loan scheme’s focus will be on the 25 sector under government’s “Make in India” project with giving importance on financing smaller enterprises in the MSME sector. Furthermore, the 10,000 crore SMILE scheme, which has included higher concessional terms for the enterprises encouraged by SC (Scheduled Caste), ST (Scheduled Tribes), PWD (Persons with Disabilities), and women, expected to benefit approximately 13,000 enterprises with employment of around 2 Lakh people. In addition, the SIDBI will contribute 15 percent of the total amount which will be assembled by the startups via a range of sources under Indian Aspiration Fund (AIF) or fund of funds. What is Mudra Bank and how it will work? Mudra Bank is innovated to fund the unfunded! Yes, it is true! It is initiated for millions of common men and women in this country who run small businesses will get benefit of Mudra Bank. It will also increase the confidence of young, educated, and skilled workers who would now be able to desire to become first generation entrepreneurs. In addition, the existing small businesses will also be able to extend their activities. There will be great innovations with Narendra Modi’s “Startup India Standup India” campaign. Many people will get employment with this new step towards development in India. Funding is much needed to make big company from small business ideas. Do you have any questions regarding Startup India Standup India? If yes then please leave comment below. Keep visiting us for the latest news related to this campaign!